Spelling is difficult for many people, but there is much less research on spelling than there is on reading to tell us just how many people spell poorly or believe they spell poorly. Less is known about spelling competence in the general population than is known about reading achievement, because there is no national test for spelling and many states do not test students’ spelling skills. One common but mistaken belief is that spelling problems stem from a poor visual memory for the sequences of letters in words. Recent research, however, shows that a general kind of visual memory plays a relatively minor role in learning to spell. 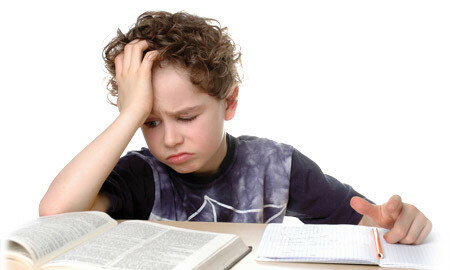 Spelling problems, like reading problems, originate with language learning weaknesses. Therefore, spelling reversals of easily confused letters such as b and d, or sequences of letters, such as “wnet” for “went” are manifestations of underlying language learning weaknesses rather than of a visually based problem. Most of us know individuals who have excellent visual memories for pictures, color schemes, design elements, mechanical drawings, maps, and landscape features, for example, but who spell poorly. The kind of visual memory necessary for spelling is closely “wired in” to the language processing networks in the brain. The English spelling system is not crazy or unpredictable. It can be taught as a system that makes sense. Nearly 50% of English words are predictable based on sound-letter correspondences alone (e.g., slap, pitch, boy). An additional 37% of the more common words are almost predictable except for one sound (e.g., knit and boat). Other information, such as the language from which a word came (e.g., Old English, Latin, Greek, or French) and word meaning, also helps explain the spellings of words. Only 4% of English words are truly irregular and may have to be learned through whole word methods, such as tracing and saying the letters while the word is being memorized. Thus, it is possible to approach spelling instruction with confidence that the system by and large makes sense—an encouraging observation for students who have great difficulty forming memories for words. Berninger, V. W., Vaughn, K., Abbot, R. D., Brooks, A., Begay, K., Curtin, G., Byrd, K., & Graham, S. (2000). Language-based spelling instruction: Teaching children to make multiple connections between spoken and written words. Learning Disability Quarterly, 23, 117–135. Carreker, S. (2011). Teaching spelling. In J. R. Birsh (Ed. ), Multisensory teaching of basic language skills (3rd ed.) (pp. 225-292). Baltimore: Paul H. Brookes. Cassar, M., Treiman, R., Moats, L. C., Pollo, T. C., & Kessler, B. (2005). How do the spellings of children with dyslexia compare with those of nondyslexic children? Reading and Writing: An Interdisciplinary Journal, 18, 27–49. Ehri, L. C. (2000). Learning to read and learning to spell: Two sides of a coin. Topics in Learning Disorders, 20, 19–49. Graham, S. (1999). Handwriting and spelling instruction for students with learning disabilities: A review. Learning Disability Quarterly, 22, 78–98. Joshi, R. M., Treiman, R., Carreker, S., & Moats, L. C. (2008/2009). How words cast their spell: Spelling instruction focused on language, not memory, improves reading and writing. American Educator, 32(4), 6–16, 42–43. Kessler, B. & Treiman, R. (2003). Is English spelling chaotic? Misconceptions concerning its irregularity. Reading Psychology, 24, 267–289. Moats, L. C. (2005). How spelling supports reading: And why it is more regular and predictable than you think. American Educator, Winter 2005/06, 12–22, 42–43. Treiman R., & Bourassa, D. (2000). The development of spelling skill. Topics in language disorders, 20, 1–18. © Copyright 2011, The International Dyslexia Association (IDA). IDA encourages the reproduction and distribution of this fact sheet. If portions of the text are cited, appropriate reference must be made. Fact sheets may not be reprinted for the purpose of resale. Fact sheet revised October 2011.